After the declaration of entering the drone race, it is an excursion of a drone writer who is busy assembling parts from the racing machine. Currently, as in the past, media is not an independent position such as media, it is a wonderful era when companies and individuals could easily send out media and get the media. It is also possible to make media that is convenient for them so to speak. Taking into account such a situation, not only the drone race but also the current drone industry and its future are anticipated today, we have come to see important issues to keep doing. That is about the walls of the drones industry where each of our citizens and Japan must clear in order to gain a profit. Actually, this is not just about the drone race. Currently the race called the FPV is the mainstream in the drone race, and this FPV is the image taken by the camera mounted on the drone from the transmitter equipped with the drone, received by the FPV goggle worn by the pilot and the pilot will see it It is a system. Many of the drones who are active at the moment and will become active in the future are equipped with cameras in the same way, wearing a liquid crystal monitor or smartphone etc. on a control device called a propo operated by the pilot, seeing the image The form of maneuvering is popular. It is important for the drone to use the image attached to the drones by the pilot and the target user, the drones race is fast and the real-time video transmission becomes the information that leads to a very successful victory. Currently, radio waves of 2.4 GHz and 5.8 GHz, mainly drone use, are allocated by the Radio Law amendment of the Ministry of Internal Affairs and Communications in 2016. The 2.4 GHz band is also assigned to WiFi etc., and it is radio waves which can be handled without license even if it is easy to say. On the other hand, 5.8 GHz band requires amateur radio class 4, but larger radio wave output is allowed. The output is simply the reachable distance. 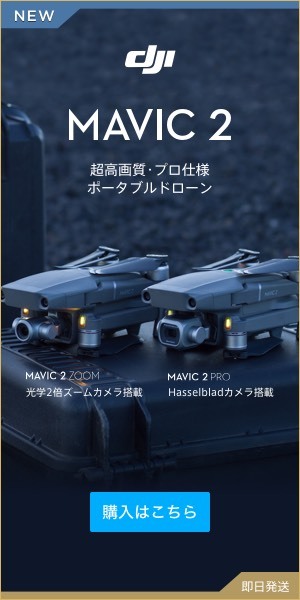 The field of utilization of drone has diversified, and it is said that the range of action is expanding from the range of visual observation (the aircraft can be seen) to the non-viewing (the aircraft can not be seen), or the need to expand is increasing. Of course, if you are not a person with certain skills and knowledge, like a driver’s license, there is danger in public roads. Risks related to human life such as human accident, such as car driving, are not directly visible, but actually radio waves have long been in the communication infrastructure of many industries and businesses in this Internet age . In fact, the frequency bands of the limited radio waves are densely concentrated, and the proper operation is a crisis crowded situation, including mobile phones and TV broadcasts that we normally use, wireless phones in the house, and so on! That is, from the thing that interference should not hurt human life and major damage response by any chance, the problem of the influence on usual TV and mobile phones etc. that many people do not usually notice is taken care of by the Ministry of Public Management, Home Affairs, Posts and Telecommunications The radio wave management office of the company is firmly managing and monitoring. However, even though it is a newcomer who is a dron noun, it is time for abundant life to enrich it in the future, the emergence of things that will help us in case of emergency, such as in disasters, urgent response to the way of radio waves, we will respond It is necessary to exist. To the people of the Ministry of Internal Affairs and Communications really feel like hardships, I would like you to do our best to respond to this situation. Or people who seriously respond to how they respond in times that always move under the law, so that they are also cleared for parking in violation of the police and complain about similar things There may be things being bathed in, but they are on our side of our citizens. Every person is the same people and the same position as us. Well then, how about breaking the wall and getting over it? Changing the law is not easy. It is not difficult, however, if the interests of the people of Japan and the country of Japan are consistent. Not only this case but also Japan, which many of our predecessors have fought and built up, we hope to change our learning to our predecessors! For example in a narrow industry like drone race, I can not do a drone race world championship! As I mentioned earlier, the mainstream of Japan and international drone racing is piloting while watching images from the drone racing machine, but amateur radio 4 grade is required to transmit the video radio waves. In order to acquire that amateur radio 4 grade, it takes 30-60 days as a result of 2 days of training, testing, radio station opening application etc. As you may have noticed, will a drone racer active overseas come to Japan two months ago and clear the course and tests that are only done in Japanese, write a Japanese application and participate in the race? Is it? So, we need to take action in relation to that. 1. All organizations, companies and individuals involved in drone collaborate to expand the future drone field. Although it may feel hard on a steady road, I think this is one shortcut. Of course, the voice and action that many people hope will become a great force. Regions currently advocating drone in the regional creation zones are various such as Senboku City, Sendai City, Chiba City, Tsukuba City, Shizuoka Prefecture, Aichi Prefecture, Naka Town, Tokushima Prefecture, Kochi Prefecture, Hiroshima City etc. It is expanding. More than anything, the contents of the national strategy of the Abe cabinet to realize delivery in drone within three years are included. You had better not have ideas like. Because I do not know if there is the Abe administration in three years! It is now a strong wind. Although it was a demonstration and a petition through politicians from a long time ago, it is still valid, but in this era the net is joining. As I said earlier, it is an era when companies and individuals have the media. Let’s step forward with that power and the same old-fashioned way! It is a way to collaborate with us, mutual benefit aimed at by the government and officials. 【Phantom4&Mavic PRO】 Let’s land by hand catch!